As a land-locked city in a county with high projected growth, Provo sits at a crossroads with regard to how it will deal with future population changes. The past model for population growth in Utah County was to build sprawl. However, in many ways the situation facing Provo resembles a micro version of the one in L.A., as explained by Matthew Yglesias. Just as L.A. grew steadily during the 20th Century, Provo is growing now. Additionally, both Provo and L.A. are physically constrained by natural barriers. And as Yglesias points out, the result of steady growth in L.A. was legendary traffic jams, which increasingly is how people describe driving in Utah. Over the past 20 years, however, L.A. has chosen the bolder path of investing in the kind of infrastructure that can support continued population growth, and shifting land use to encourage more housing and more people. In other words, cities that want to grow need to build places for more people to live and systems to move them around. L.A. illustrates that lesson, and Provo needs to internalize it. 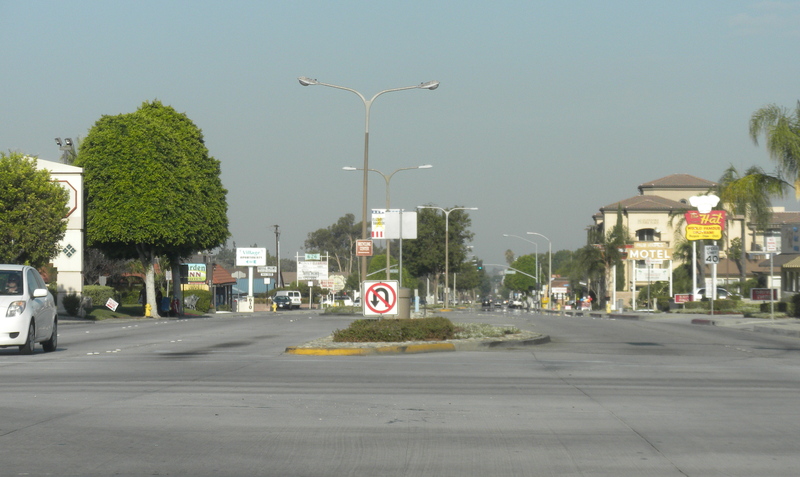 Route 66 as it passes through a Los Angeles suburb. Apparently, L.A. is successfully becoming less car-oriented. According to the article, L.A. began the process of accommodating growth and becoming a great public transit city in the 1990s after political will began to shift. Today, the changes are having a real impact on the city that I remember mostly as a tangle of stroads and car sewers. Apparently, I need to give it a second chance. 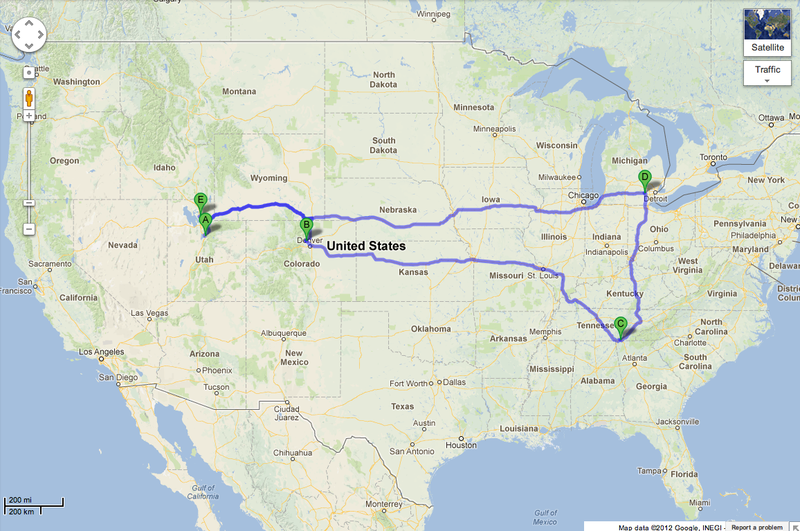 Provo won’t be as big as L.A. any time soon. But this story shows that land-locked cities can either strangle growth and push it out to the suburbs — as has happened in Utah — all while dealing with ever-increasing congestion, or they can figure out ways to accommodate more people in a smaller area. Late last week, KSL ran a story about population growth in Utah County. The article includes some interesting information about growth in the area — for example, the county has seen a 40 percent population increase in the last 10 years — but also provides a perfect example of why sprawl wastes money. It also highlights exactly the sort of thing James Bacon was trying to point out when he argued that sprawling suburbs are antithetical to conservative values. After a section that comically (and sadly) describes Saratoga Springs as occupying a “pretty central” location, the article explains how the government is spending money to cope with sprawling communities in northern Utah County. Over the past five years, UDOT has spent $2.5 billion dollars on road improvements in Utah County. The majority of that funding has gone to rebuilding 24 miles of I-15, but a long list of new roads and improvements are helping with the skyrocketing growth, and now, people are finding the commute is easier. State and local government have invested heavily in the transportation system, especially in north Utah County. The I15 improvements obviously benefited existing communities, but there’s no reason the other money needed to be spent at all. If the population growth had been contained within existing communities, the government — and therefore all of us — would have saved a fortune. That growth could have been contained by adding housing in existing neighborhoods, either by infilling wasted space or by redeveloping certain low density neighborhoods into high density neighborhoods. The reasons that sort of development would have been cheaper are too numerous and complex to list comprehensively here, but the most obvious savings would have been on roads and other infrastructure. So, for example, if we build a house near an existing road, the government doesn’t have to pay to install and/or maintain additional streets, sewers, etc. The work cities already would have been doing anyway simply benefits more people. In other words, it’s a lot more bang for our buck. However, the kind of growth described in the KSL article necessitated more roads. That benefits developers’ pocket books, but it means more construction expenses in the immediate future, as well as more maintenance costs in the long run. As James Bacon indicated, conservatives should object to this kind of wastefulness. This also happened to be one of my objections to Daybreak. There are a couple of lessons here for Provo. The first is the sadest: Provo wasted decades and millions (or billions) of dollars letting the population of Utah County shift to Lehi, American Fork, and the west side suburbs. There’s not much the city can do about the past, but it can at least look to stanch the population flow. The second lesson, however, is that the cheapest, most fiscally conservative option for growth is to build within existing communities. The road to Daybreak. In the long run, taxpayers are going to have to pay to maintain this road. (They also may have already paid to install it, though hopefully the developer paid for that). If all the housing in Daybreak had been squeezed into existing neighborhoods, however, taxpayers wouldn’t have had any additional expenses. LDS Church said Tuesday that it will build a 9-story building at its Missionary Training Center, despite complaints from residents in the surrounding neighborhoods, according to this Daily Herald article. MTC administrative director Richard Heaton said at a meeting in March that the church has taken the building’s impact on the neighborhood into account. The church does not need city approval for the 161-foot-tall building. The church originally revealed plans for the building in March. Evidently, the residents are concerned that the building will block their view of the nearby mountains. Several neighbors sent an unsigned letter to the church saying when the MTC was built in the 1970s, the church promised there would be no buildings taller than four stories. I’m not sure how long the residents expected the church to honor the alleged promise. If the MTC is around in 100 years, should it still not have tall buildings? What about in a 1,000 years? Given the longevity of other world religions, it’s not inconceivable to think the MTC would be around that long. And again, I’m sympathetic to the aesthetic concerns. I also know some cities enact height restrictions to preserve mountain views or historical character. Perhaps I’m reading too much into this issue, but it also makes it seem like some of the area’s older residents remain unaware of the magnitude of Provo’s growth over the last generation. 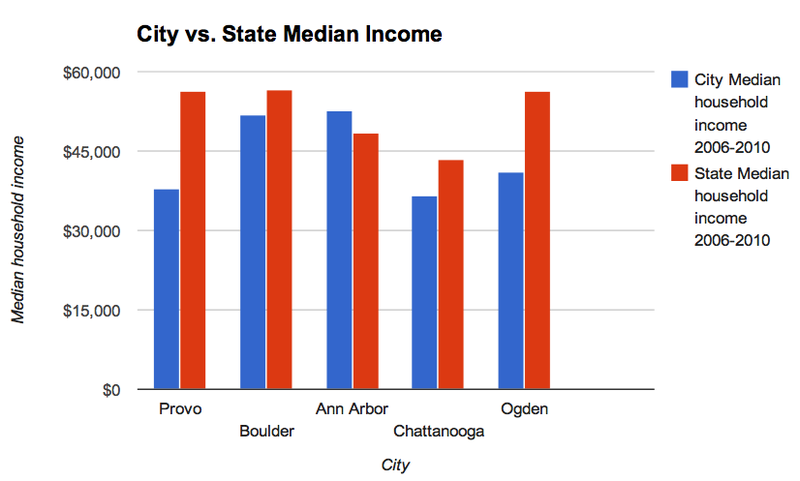 Since the 1970s, the city has grown radically; far more than most cities in the U.S., the Provo of the early 21st Century bears little resemblance to the Provo of the mid 20th Century. If that growth continues and destructive sprawl is curtailed, there’s a good chance there will be other tall buildings all over the city. Whether Provo eventually fills up with tall buildings or not, the most important issue here is recognizing the growth the city has experienced. Failing to do that — and consequently conceiving of Provo as the little town it was more than 40 years ago — will result in policies and procedures designed for a city that no longer exists. A few days ago, I reported on the remarkable growth that the Provo metro area has experienced over the last 30 years. According to the Salt Lake Tribune, that trend is continuing. 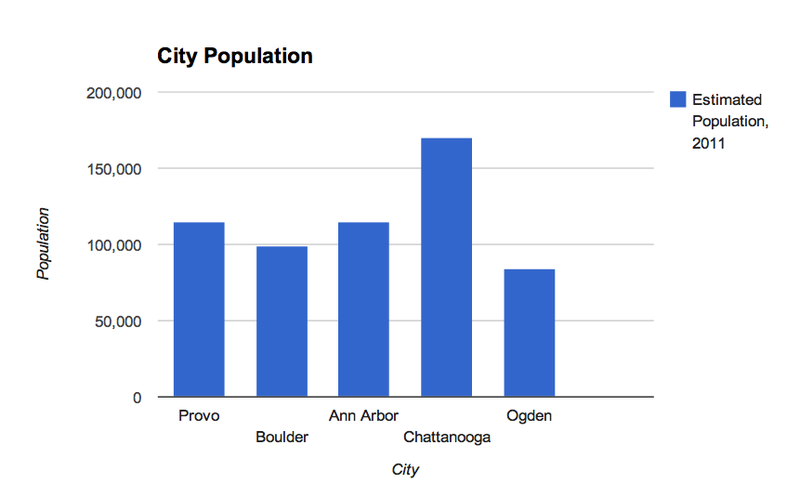 The Tribune reports that from 2010 to 2011 Provo grew by 2.7 percent. That means it’s the seventh fastest-growing metro area in the country, and is ahead of all other major metros in Utah. Based on these figures, the population in Utah County will conservatively exceed 1 million people in less than a generation if similar growth occurs over the long run. The article quotes county commissioner Larry Ellertson as saying that the growth may be due to large construction projects, businesses immigrating to the area, and a high fertility rate, among other things. The census data the Tribune is using also shows population loss in rural areas. Though that may not matter to many people, it’s nevertheless significant because it supports observations by experts that the United States is increasingly a city-dwelling nation. Utah is perhaps closer to its agricultural sector and agrarian past than some states, but the reality is that today the region is an urban one.